The ‘Harold’ is seen as the definitive form in ‘Long-form’ Improv because it requires the most skill from Improvisors who perform it. 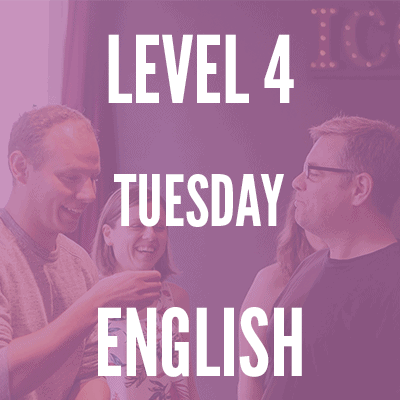 Level 4 is where you will learn the fundamentals of the Harold structure and how to incorporate the scenework of the previous levels to create amazing unrehearsed theatre. The ‘Harold’ is seen as the definitive form in ‘Long-form’ Improv because it requires the most skill from Improvisors who perform it. Level 4 is where you will learn the fundamentals of the Harold structure and how to incorporate the scene work of the previous levels to create amazing unrehearsed theatre. The ‘Harold’ is a very specific structure – in fact, the most successful TV sitcoms of the past 30 years have all been based on it. You will learn how and why this structure works so well for comedy, and then you will learn how to do it with your team. You will apply all the skills you have acquired so far and combine them working closely with your team to create the show format called the ‘Harold’. This includes how to open a show, monologues, 2 and 3-person scenes, mapping, call-backs, tag runs, edits, group games, heightening and the show’s comedic climax. Level 4 is only available as a continuation from the Level 3 course and therefore has the same age requirements (minimum 18 years). Level 4 is a 6-week course with each session lasting 3 hours. There will be a performance at the end of the course which will be to an invited audience of fellow improvisors and your family and friends. If you can perform a Harold, you can perform pretty much any other type of long-form Improv. With this under your belt you will be consistently able to produce hilarious team shows that are unique every time.